Kayla Scott had been working at The Kiwi Butcher Shop in New Plymouth for four years when she was encouraged to take on an apprenticeship. She had started out washing dishes and had been promoted to sales consultant on the shop floor. “I had basic knowledge of the meat cuts and I was familiar with how a butcher shop operates on a normal working day, in both the wholesale and retail areas. “My manager asked if I would consider doing an apprenticeship and I felt like I had nothing to lose. After three years I’ll become a fully qualified butcher. 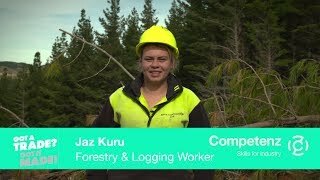 Kayla says the variety is rewarding and she is learning a wide range of skills including cutting, boning, slicing and trimming, as well as making sausages and operating the smokehouse. She gives customers advice on suitable cuts of meat as well as preparation and cooking techniques. Kayla says one of the greatest benefits of her apprenticeship has been getting paid while she learns without having to rely on a student loan or other training costs. And while the learning can be challenging, she is determined to prove to herself and others around her that she is capable of achieving her ultimate goal. Kayla is a future leader for the Got a Trade? Got it Made! 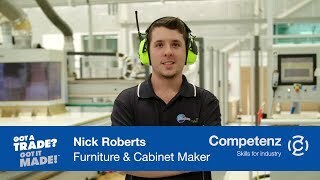 national campaign to raise awareness of on-the-job training and careers in New Zealand’s trades and services. Find out more at gotatrade.competenz.org.nz.